Podia ist das Projekt von Max Burgess und seiner Frau Magda Skalska-Burgess. Neben wunderschönen Trikots und Hosen organisieren sie von Krakau aus auch mehrtägige Radreisen, die sie liebevoll Roadventures nennen. Ihre Stilsprache und Ästhetik passt zu Shut Up Legs und somit war es nur eine Frage der Zeit bis wir Podia hier begrüßen dürfen. Wir freuen uns sehr das Max sich die Zeit genommen und unsere Fragen beantwortet hat. Shut Up Legs: First of all, thank you for answering our questions today. In case people haven’t heard of Podia. Who are you and what are you doing? 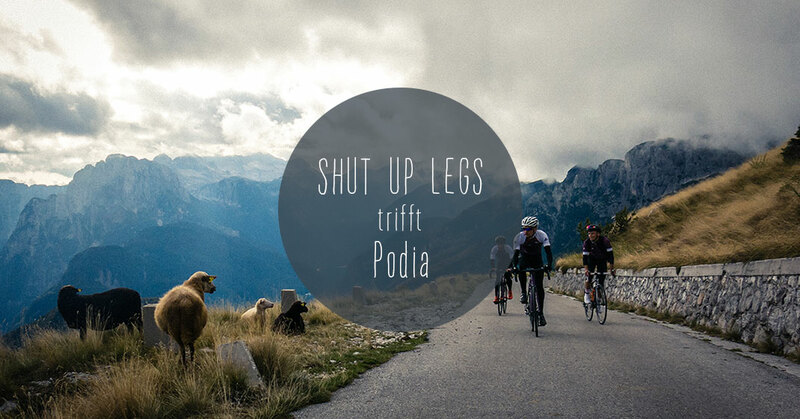 Podia is a cycling brand designing, producing and selling technical cycling clothing. We also organise fully supported cycling adventures in Hidden Europe. SUL: What is the brand representing? The brand was built on a notion of discover and share. Whether we are discovering great places to ride and sharing them with our followers or meeting with custom frame makers that weren’t so well known, discovering more about their work and writing about it. From a design point of view we have always enjoyed finding a balance between subtle-elegance and the use of bright colours, especially our orange, purple and gold brand colours. SUL: Tell us about the beginning of Podia. When did you start and why? Podia started as a blog in 2014 when I moved from London to Kraków. It really began as a platform to capture the feelings I had exploring a new country on two wheels. I met a great group of local cyclists who enjoyed taking me to ride in new places all around Poland and Slovakia and the blog started from there. We were making films and images about riding in locations that cyclists worldwide didn’t normally associate with road cycling. Because we were doing something a little different, we grew a good following quite quickly. We would wear a particular jersey in those articles that I had designed and we started to get more and more requests to buy it. This is how the Podia online store started. The unexpected success of that jersey was a special moment for me; people really responded to it and I was very proud of that. We started to add more jerseys and other garments to the range and since then it just keeps growing. SUL: What is your inspiration? And what motivates you to develop the brand? I studied architecture and always had a passion for good design. The early jersey designs were always trying to capture a middle ground between the sombre, muted designs I saw people wearing or the crazy ‘out-there’ jerseys at the other end of the scale. We have evolved in the last couple of years and continue to evolve. In the time since we started, there has been a flood of micro-brands in the market and sometimes it is hard to cut through. I think there is a movement happening in general culture away from ephemeral, seasonal products and we are starting to move in that direction too. I am more and more motivated to create clothing that stands the test of time. 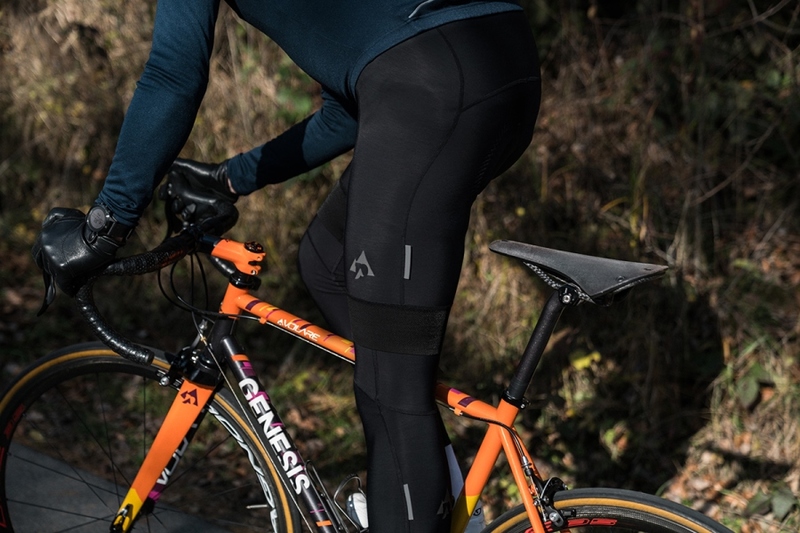 In the cycling world some products only last a season of hard use and then they get replaced the following season; we are trying to challenge this by creating apparel that can sustain many years of hard use and still look as good as it did when bought. This also goes to the core of our industry. Many small brands work with producers who have a set cut and fabrics; the brand simply puts their graphic design on it. We work with some of the very best manufacturers and they help us through a long period of prototyping to ensure all the details are correct. It results in a much better product for the customer. SUL: Podia is (now) based in Krakow, Poland. What do you like about this region most? Cycling related and non-cycling-related? Coming from an Island (Great Britain), I love the idea of being in the heart of Europe. 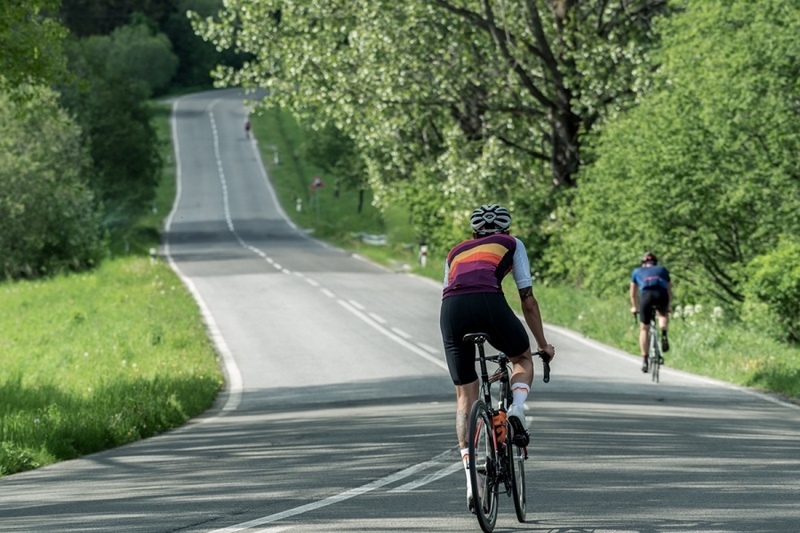 Since we started Podia, I have made so many friends in all parts of Europe (and the World) and the most amazing thing is to be able to easily travel and meet them to go for a ride. Poland is a beautiful country with some amazing landscape and I have enjoyed exploring it. I came from London where it would take 45 minutes to even get out of town, before you were in the country. 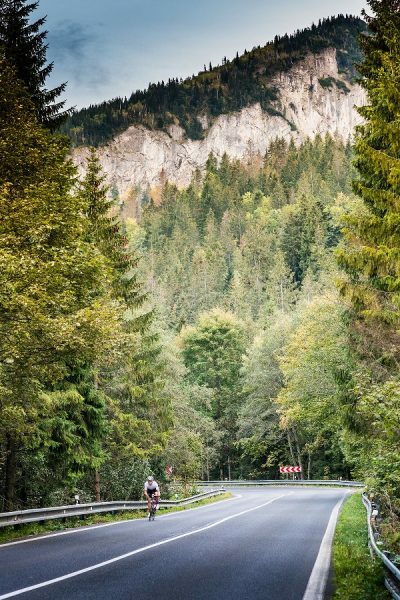 Kraków is on the doorstep of some great cycling terrain, especially the Tatra Moutnains, Pieniny and the Beskid’s. But it isn’t just the cycling, the culture in general is something special. Poland has a very interesting history that makes exploring new places even more fascinating; that was the motivation behind what interests us as a company; great locations with an interesting history. SUL: You are not just into clothing, Podia also offers guided bicycle holidays called Roadventures. Can you tell us a bit about the Roadventures. When did you start and what is your motivation behind? We built our first followers by showing images of riding in ‘Hidden Europe’. We also try to shoot our apparel in this part of Europe. 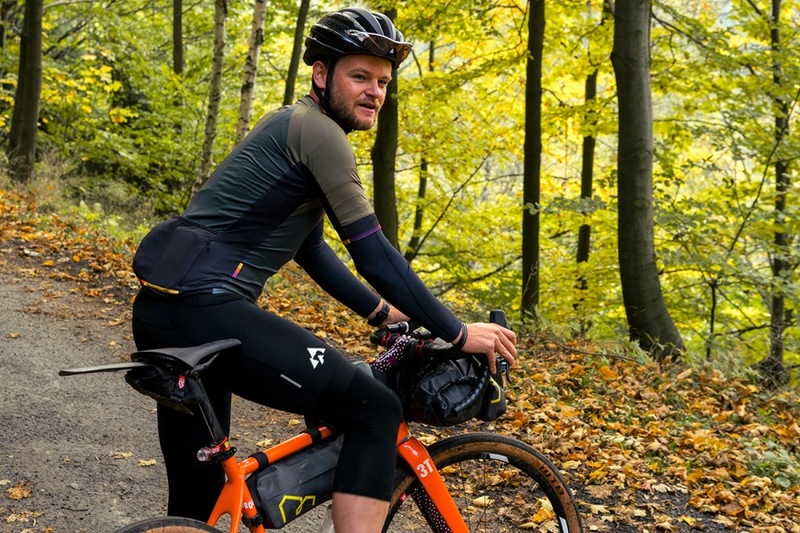 Increasingly we are seeing people trying to find places to explore that are ‘off the beaten track’, riders who have already visited France, Italy and Spain and are looking to discover somewhere different. So, we decided to offer people the chance to come and explore ‘Hidden Europe’ with us. Roadventures are four to seven days of fully supported cycling adventures for small groups of up to 8 guests. We provide all transportation, accommodation and meals as well as support vehicles, mechanics and ride guides. 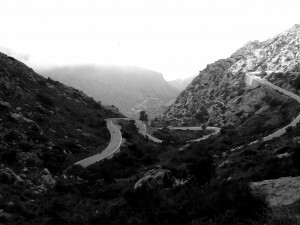 They are trips about exploring new places and everything is focussed on enjoying great cycling in a fun atmosphere. We started it with one Roadventure in the Tatra Mountains and it was such a success that we have been growing it each year. 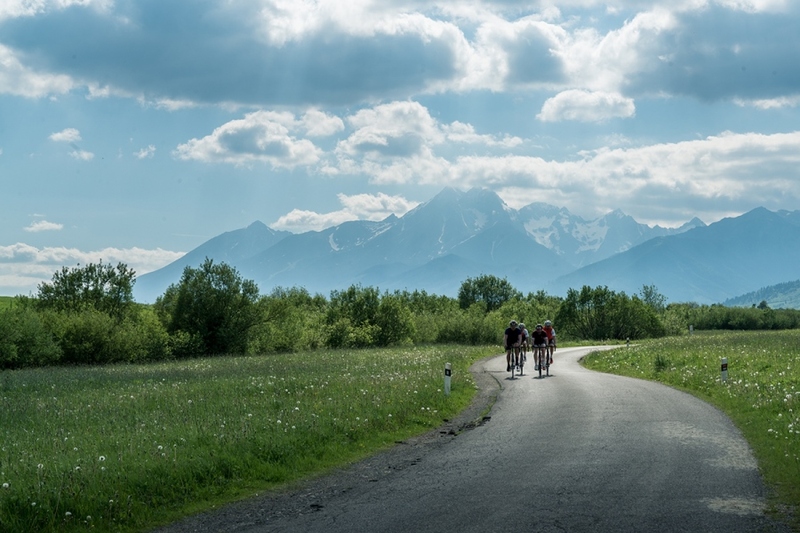 This year we will also be offering more trips such as a Roadventure in the cycling paradise of Slovenia as well as a weeklong point-to-point trip around the highest parts of the Carpathian Mountains in Poland and Slovakia. SUL: A new addition on this year’s programme is the first Gravelventure. What can the participants expect? Gravel riding is growing so fast. I personally do quite a few gravel trips, so it was a natural addition for us to make. 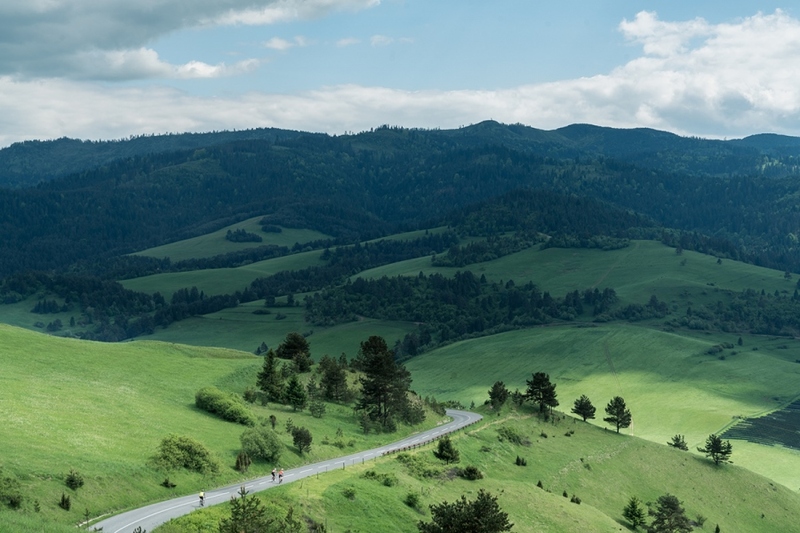 We are also lucky that near-by we have a region called Beskid Niski, which I think, is perfect for this type of riding. This low-mountain area was changed dramatically under early Soviet influence, during something called ‘Akcja Wisła’. The vast majority of a local ethnic group called the Ruthenes were moved to other parts of the country for fear of an uprising. Villages and settlements were just left abandoned and have slowly dissolved into the landscape. The old roads and gravel tracks remain, except without the people and cars. It has become such a remote part of the country; with incredible wildlife. 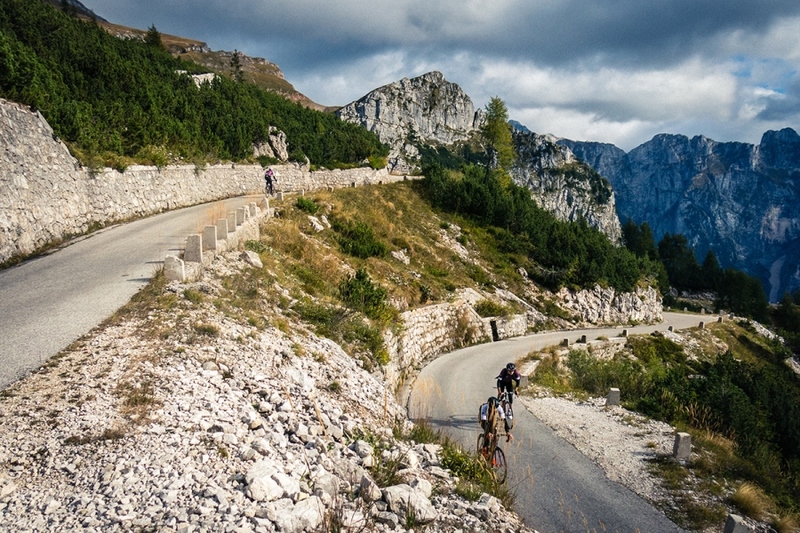 It’s a very special place to ride, especially on a gravel bike that can really get you into the best parts. SUL: What else are your Plans for 2018. Can we expect some more new stuff this year? We have just released a long sleeved merino wool jersey. It is a landmark moment for Podia and signals the direction we would like to take our apparel into. It is the perfect fabric for multi-day adventures because of the way it deals with perspiration and odour. We have more jerseys coming this Spring that will show a slightly different design ethos than before. We have been working on updates to the details of the jersey that we think will make it an even better piece. Later in the year we are aiming to release a winter jacket/jersey with an amazing Polartec fabric that we have been working with. It has a very soft feeling with great thermal qualities as well as being waterproof and windproof. It also seems to breath remarkably well. I tried the first prototype on a ride last week and I was really excited. But, there is still some way to go as we will now ask a few riders to try the prototype and feedback to us before we move forward. 2018 is really shaping up to be the most exciting yet for Podia! SUL: Thank you so much for this Interview Max. It was a pleasure to feature you and your brand on the blog! Vorheriger ArtikelWann finden die Frühjahrsklassiker 2018 statt? Nächster ArtikelKann ein e-Lastenrad ein Auto ersetzen?